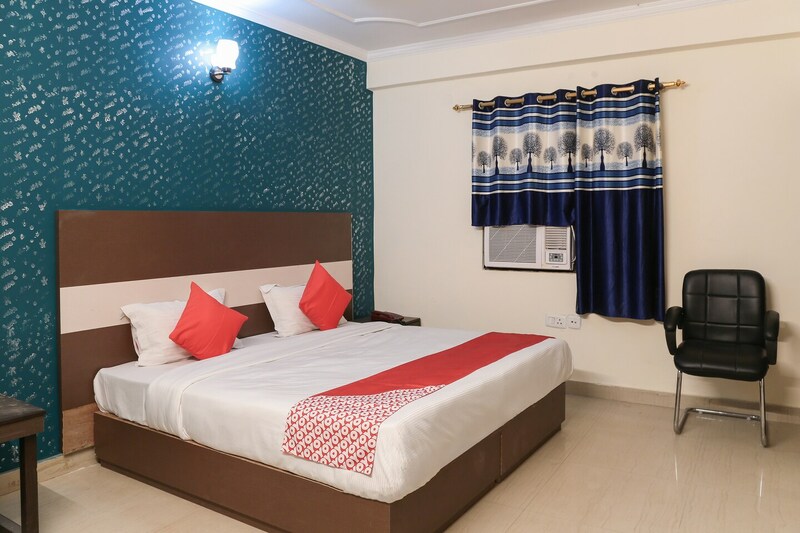 Grand Aerocity is a modern and budget-friendly property with comfortable rooms in Block B, Mahipalpur, in Delhi. It is close to the Indira Gandhi International Airport. Aravalli Biodiversity Park and Nature Trail Park are not far from here. The property boasts of a trendy glass facade and the interiors are well-lit and neat. The rooms are cosily furnished and feature colourful wallpapers. The bathrooms are very hygienic and well-maintained. All the rooms come with AC, TV, king size beds and free Wi-Fi. Parking, power backup, card payment facility and CCTV security are other benefits. The property is close to eateries like Resto 37, Burger Wala, and Indian Hotel & Restaurant.